We pride ourselves on creating user-friendly websites for our clients. We know that in today’s technology driven world websites are just as important as phone listings and business cards. With our knowledge of WordPress we can artistically create something remarkable. What are you waiting for? Watch us put your ideas in the form of a website today. 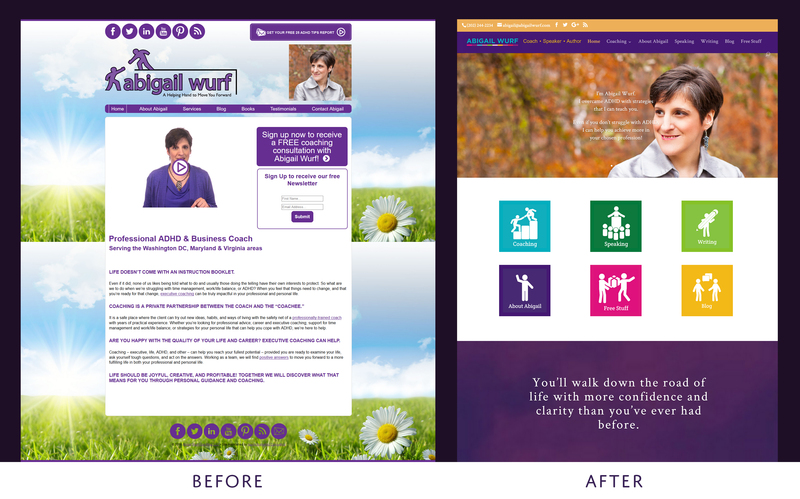 Business coach Abigail Wurf wanted to move to a new widescreen format WordPress design. Working with HartkePR she got an incredible website makeover. See more examples of our web design work in our Portfolio.